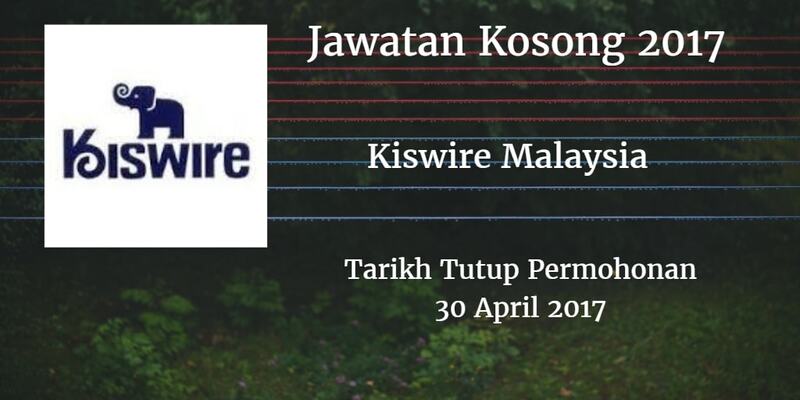 Kiswire Malaysia mencari calon-calon yang sesuai untuk mengisi kekosongan jawatan Kiswire Malaysia terkini 2017. Warganegara Malaysia yang berminat bekerja di Kiswire Malaysia dan berkelayakan dipelawa untuk memohon sekarang juga. 1. At least a Primary/Secondary School/SPM/"0"Level/or Diploma in any field. 2. Good communication & interpersonal skills. 4. Applicants must be willing to work at JB town area (Jln Senyum). 1. At least SPM/"0"Level/or Diploma in any field. 2. Preferably with 1 year experience as administrative/clerical support in manufacturing company. 3. 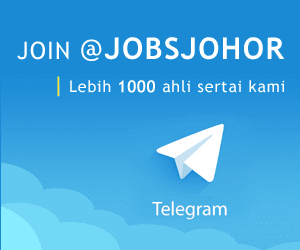 Applicants must be willing to work at Pasir Gudang, Johor.